Yacht transport with United Yacht Transport provides vessel shipping to the Port of Genoa, an important and large Italian seaport on the Mediterranean Sea. The port of Genoa is the busiest port in Italy by cargo and the second busiest in terms of processing shipping containers over twenty feet. The port of Genoa stretches 22 miles and has increased traffic because of its focal point between other destinations. More than 150 line services link Genoa to major ports throughout the world. The City of Genoa, is the capital of Liguria and the sixth largest city in Italy. It is located in the southern corner of the Milan-Turin-Genoa Industrial triangle of north-west Italy, and is one of the country’s major economic centres. Some popular attractions within Genoa, are the Ippolito National Ligurian Museum, the birthplace of Christopher Columbus, Boccadasse, Spianata Castelletto and the Cathedral Museum. Among the various destinations, port lines and attractions from Genoa are Barcelona Spain, Valletta Malta, Bastia Corsicia, and Palermo Sicily. 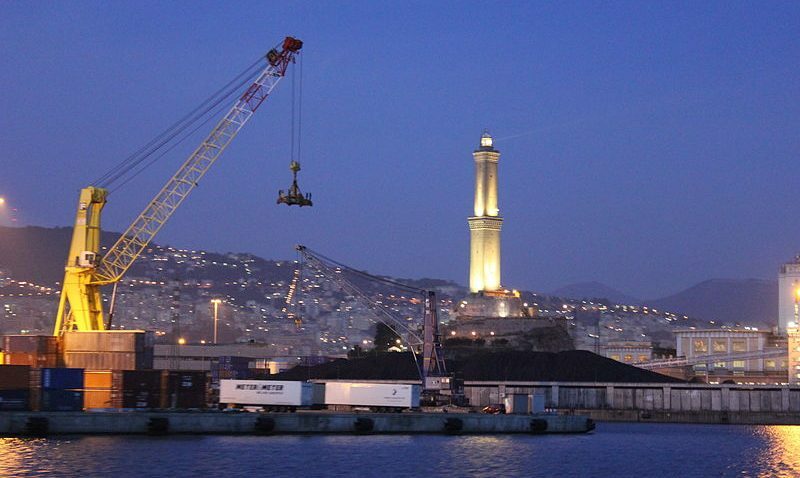 United Yacht Transport is the leader in transporting yachts throughout the Mediterranean Sea. United Yacht Transport specializes in international yacht transport and is able to offer complete satisfaction as clients begin or end their voyages in Genoa Italy. Genoa Italy, although a busy port, is managed with care and efficiency as led by our competent captain. United Yacht is the preferred yacht carrier to Genoa, Italy. Contact a representative today to see how United Yacht will exceed your expectations.